MCG Jazz is proud to announce that the 2018 documentary “We Knew What We Had: The Greatest Jazz Story Never Told” received two Telly Awards this week. The Telly Awards honors excellence in video and television across all screens and it is judged by leaders from video platforms, television and streaming networks, agencies, and production companies including Vice, Vimeo, Hearst Digital Media, and BuzzFeed. 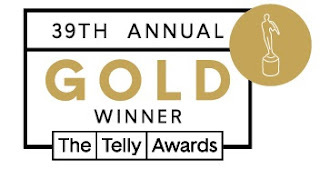 This year, The Telly Awards introduced the inaugural gold Telly Award to honor the 39th Annual Telly Awards’ top tier of entrants. “We Knew What We Had” won gold in the Craft-Use of Music category and bronzein the General-Culturalcategory. The film premiered in February 2018 and continues to have hundreds of telecasts on public television stations throughout the United States. “We Knew What We Had” is distributed by American Public Television with presenting station WQED Multimedia for broadcast on television, locally, nationally, and around the world. Consult your local listing for current showtimes or visit www.weknewwhatwehadfilm.com. Since 1987, MCG Jazz, a program of the Manchester Craftsmen’s Guild that is an affiliate of the Manchester Bidwell Corporation, has brought audiences together with jazz artists at its 350-seat music hall in Pittsburgh for innovative performances and recordings. Its mission is to preserve, present, and promote jazz. 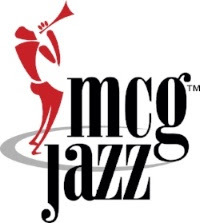 MCG Jazz Archive assets derived from concerts, workshops, interviews, recording sessions, off-site productions, and other events includes nearly 32,000 hours of raw footage and is home to the personal collections of Stanley Turrentine, Herbie Mann, John “Doc” Wilson, and others. In addition to presenting one of the nation’s longest-running jazz subscription series, the MCG Jazz label has won five GRAMMY® Awards and is an anchor of Pittsburgh Cultural and community life. For more information about Manchester Craftsmen’s Guild, please visit their website at www.mcgjazz.org. The Telly Awards is the premier award honoring video and television across all screens. Established in 1979, The Telly Awards receives over 12,000 entries from all 50 states and 5 continents. Entrants are judged by The Telly Awards Judging Council—an industry body of over 200 leading experts including advertising agencies, production companies, and major television networks, reflective of the multiscreen industry The Telly Awards celebrates.